There are four international airports in Denmark which have international flights and the busiest is, of course, Copenhagen Airport. 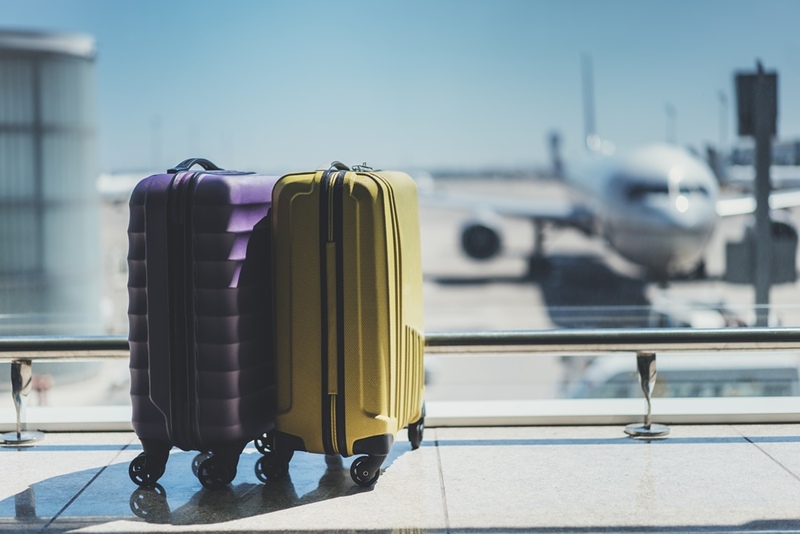 However, you might consider using other airports too, for example, if you want to visit Legoland, then the best option would be Billund Airport which is located only 2 kilometres from the airport. The airports listed below have international routes but there are also other active airports like Bornholm and Midtjyllands which operate national routes only. Also referred to as Kastrup Airport, Copenhagen Airport is the largest international airport in Denmark and besides serving the capital of Denmark, it also serves Zealand, Öresund Region and a part of southern Sweden. Copenhagen Airport is located on Amager, the island 8 kilometres south of Copenhagen and 24 kilometres west of Malmö (Sweden). It serves as a hub for Scandinavian Airlines, Thomas Cook Airlines Scandinavia and Norwegian Air Shuttle. You can reach Copenhagen city centre in less than 15 minutes by bus, train or metro. Billund Airport is the second busiest airport in Denmark and it is located only 2 kilometres from the centre of Billund. The airport has more than 20 regular international flights, among which even to Sharm el-Sheikh in Egypt. The number of passengers is growing every year due to airport’s vicinity to Legoland Billund park which can be reached by bus from the airport in only 6 minutes. The city centre of Billund is also easily reached by several bus lines. Aalborg Airport is located in Nørresundby, 6.5 kilometres northwest of Aalborg city centre. Some of the regular international flights are those to Amsterdam, Málaga, Palma de Mallorca and London-Stansted. Other flights are seasonal and seasonal charters (mostly to Spain and Greece). Currenty, the city centre can be reached only by car or taxi, but there are plans for connecting the railway to the airport in 2019. Aarhus Airport is the smallest international airport in Denmark in terms of number of passengers and it is located in Tirstrup, 36 kilometres northeast from Aarhus. There are currently regular flights to Gothenburg, Oslo, Prague, Gdansk and Stockholm and seasonal to Germany, Spain, France and Croatia which are yet to be introduced in 2018. The city centre can be reached by airport shuttle (line 925X) which runs to Aarhus Railway Station. The travel time is 54 minutes.